Karan Johar's Bollywood movie Kalank starring Madhuri Dixit, Sonakshi Sinha, Alia Bhatt, Varun Dhawan, Aditya Roy Kapur is set for April 17 release and is expected to make record collection at the box office. Bollywood movie Kalank starring Madhuri Dixit, Sonakshi Sinha, Alia Bhatt, Varun Dhawan, Aditya Roy Kapur is set for grand worldwide release, but four aspects may affect its collection at the box office. Kalank is riding on huge hype and expectations. Its ensemble cast of Madhuri Dixit, Sonakshi Sinha, Alia Bhatt, Varun Dhawan, Aditya Roy Kapur and Sanjay Dutt, vibrant production values featured in its promos have generated a massive amount of curiosity about the film, which is set for worldwide release on April 17. Considering this hysteria, it is expected to start with a bang and make a superb collection. But some aspects may prove very costly for Kalank and eat away its prospects at the box office. Here are those five threats. India is a fast gripped by the IPL fever and there is little interest among the people to watch movies at the moment. The evening shows of a movie decide its prospects, but Kalank is surely going miss this on a huge scale, as most of the viewers will be busy watching cricket matches every evening for the next few days. Hence, its collection may be affected largely by the IPL fever. General elections are the biggest sensations in the country at the moment and almost everyone is focused on it. In fact, it is the biggest entertainment for some people after the IPL. Many are busy watching political leaders pulling each other's legs during election campaigns. This engagement might also prove costly for Kalank, as it may keep many viewers away from the cinema halls. Love jihad and the feeling of nationalism created by the BJP and Prime Minister Narendra Modi, are the interesting topics of debate for many people. This feeling might force some viewers to boycott Kalank, as it deals with a love story of a Muslim guy and Hindu girl. Some right-wing audience had expressed their anguish against the makers after watching its trailer. Now, they may stay away from watching the film. Sanjay Leela Bhansali is a master of storytelling and has an impeccable eye for details from palatial sets to elaborate costumes. From Devdas to Bajirao Mastani, his films are extravagant visual feasts and nothing short of poetic experiences. He has an impeccable eye for details. From palatial sets to elaborate costumes, he is a master of storytelling. 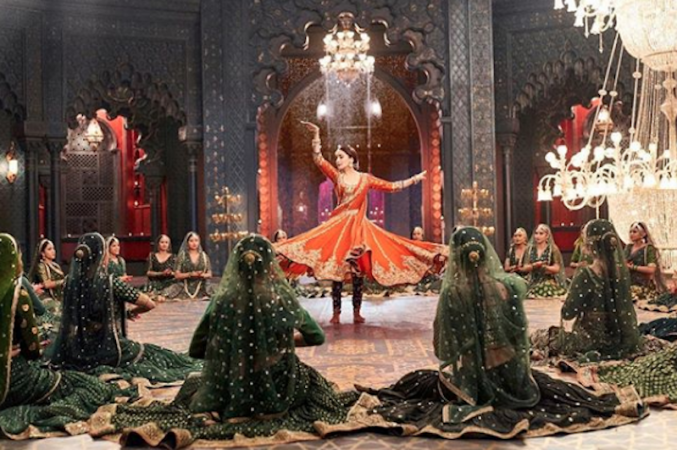 When the teaser of Kalank was released on the internet, many viewers asked whether Karan Johar is trying to break into Sanjay Leela Bhansali's grandeur and charm genre. This shows that there will be a lot of comparison with the latter's films. Since there is a lot of difference in their way of filmmaking, it may lead to negative word of mouth, which may affect the collection of the movie at the box office.